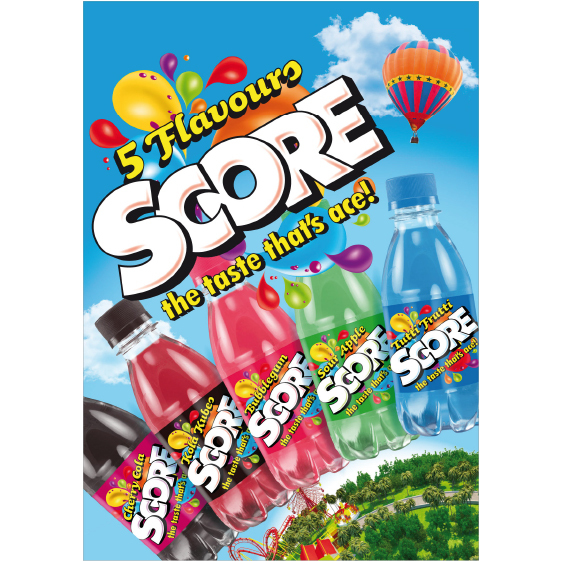 Score is a range of small format soft drinks manufactured by the Gleeson Group. 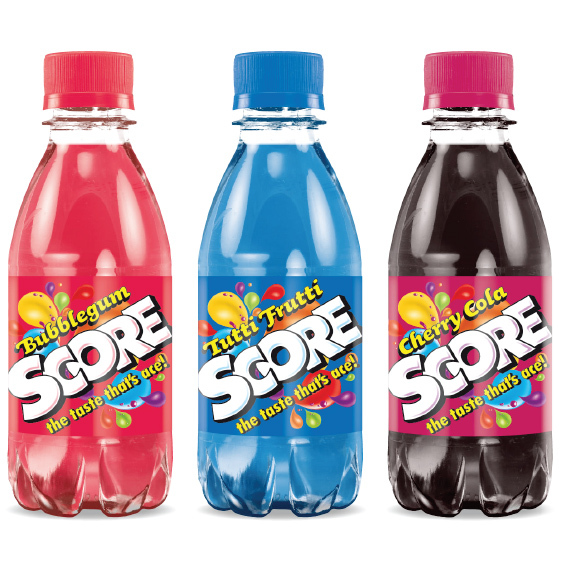 In its most recent incarnation the product was a sugar free drink but this was competing with the company’s other sugar free products so the product formulation has been changed. 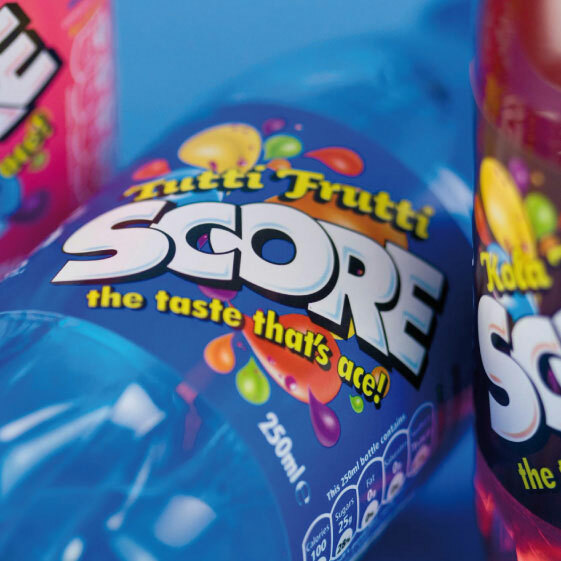 The existing design was quite dated so the necessity of changing the product descriptors also gave us the opportunity to revise the design. 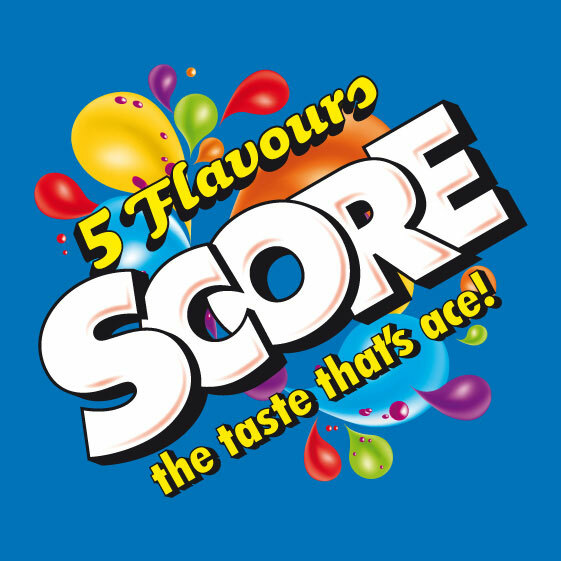 The brief was quite open so we proposed three highly differentiated solutions: a ‘football’ themed concept capitalising on the ‘Score’ name; a refresh of the existing look optimising the sugary taste cues and a computer game themed concept as an alternative take on the ‘Score’ name. The refresh option was warmly received and has been rolled out.